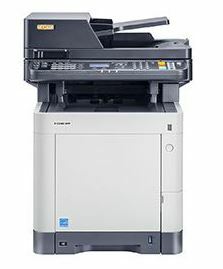 Sturdy on a small footprint yet absolutely state-of-the-art, this is how this A4 colour desktop MFP presents itself. 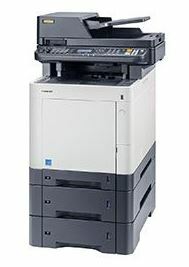 It prints and copies with a speed of 21 A4 pages/min and scans up to 30 A4 pages/min. 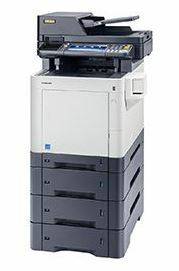 Are you tired of waiting for your print job to finish? 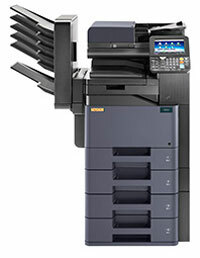 Do you want more than just copy, print or scan in colour or black & white? 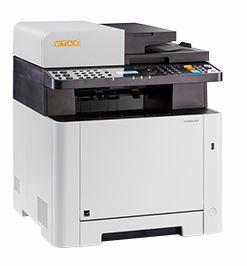 Then, this all-rounder is the right choice for you as it delivers up to 35 A4-pages/min and has a standard HyPAS interface for the integration of individual software solutions on board. 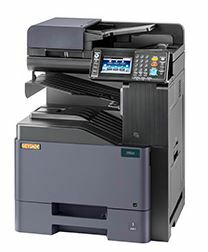 Now available – the productive colour multifunctional that prints, copies, scans and sends faxes! 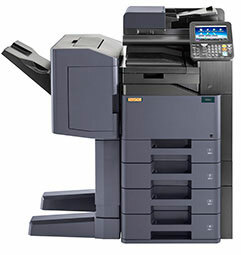 All this with a speed of up to 35 A4-pages/min.